You are currently browsing the archives for the day Saturday, February 10th, 2018. 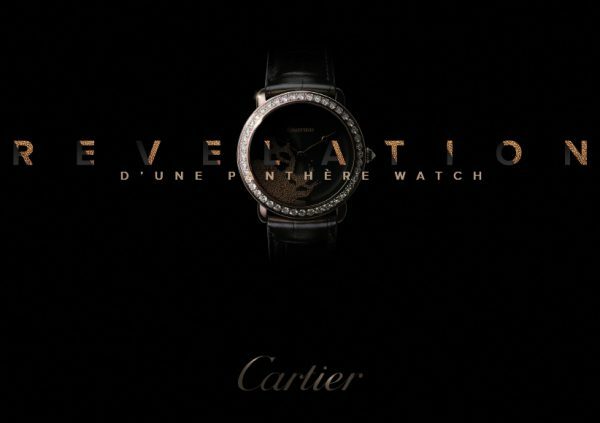 Presented at SIHH 2018, the new Révélation d’une Panthère watch is a true piece of art and deserves its own post. 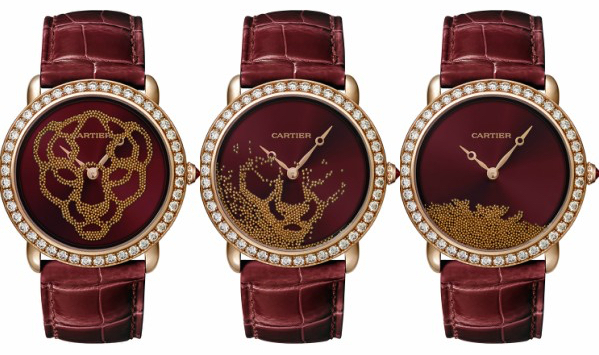 The iconic Cartier panther is revealed in an instant in a feat of watchmaking magic that conjures the hourglass, an eternal allegory of the passage of time. Distort time. Disrupt it. Give it a form, trace its outline, and make it appear and disappear at leisure. At a flick of the wrist, tiny gold beads map a meticulous trajectory across the surface of the dial, gradually revealing a powerful presence. 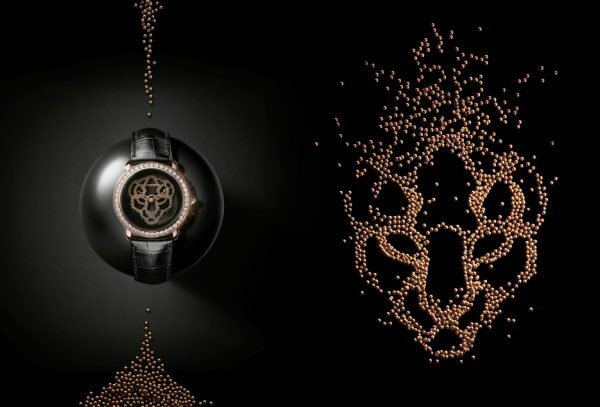 The magnificent head of a panther emerges, her golden outline illuminating the dial, her stark, stylised motif arresting the gaze. An ephemeral work of art for art’s sake, this timepiece offers the rare spectacle of light, luminous hours which promise their return. 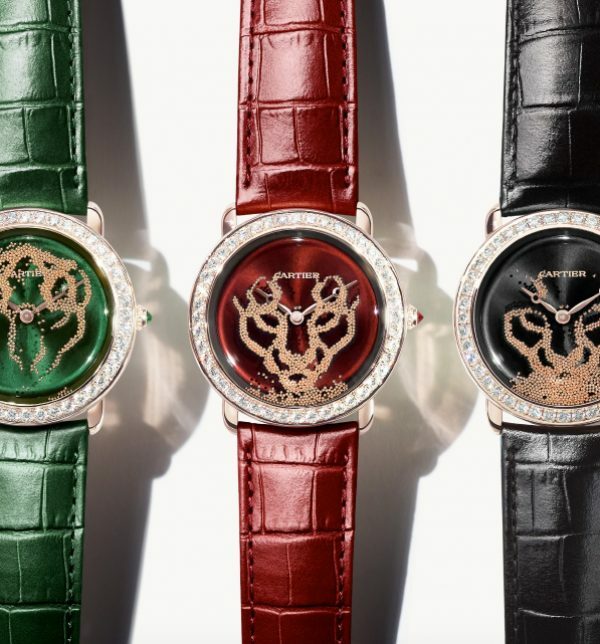 Available in three versions with a choice of a black, green or red dial, the 37mm watch features a pink gold case, a bezel paved with diamonds, and a winding crown set with a diamond, an emerald or a ruby. The two colored versions in green and red are both limited editions of 100 individually numbered pieces each.